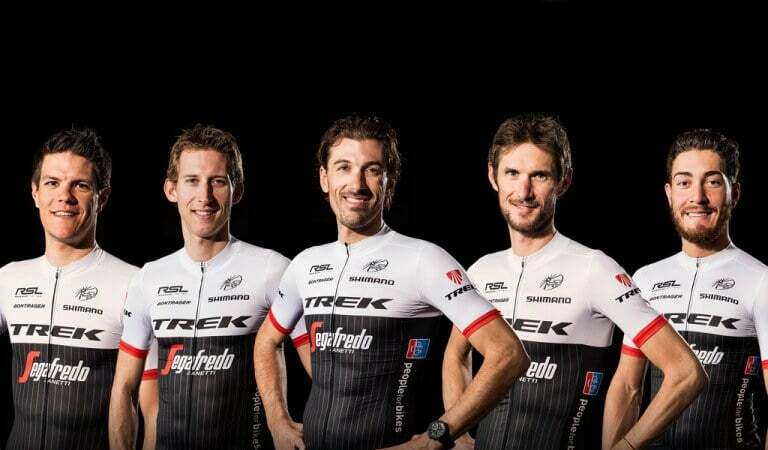 Trek Factory Racing is pleased to announce that the brand Segafredo Zanetti is engaged in a three-year sponsorship as co-title sponsor since 1 January 2016, taking the name of Trek-Segafredo new UCI WorldTour. The partnership was officially presented in Treviso, in the presence of Massimo Zanetti, president of Massimo Zanetti Beverage Group, Joe Vadeboncoeur, vice president of Trek Bicycle and Luke Guercilena, general manager of the team. The partnership with Segafredo Zanetti is wonderful news. Since the beginning of the team, two years ago, our performance and recruitment plan have turned to projects based on the long term and with Segafredo Zanetti we found a partner that shares our values. The importance of this agreement and the security it offers will allow us to invest even more in the team and develop young riders, “said Luca Guercilena.